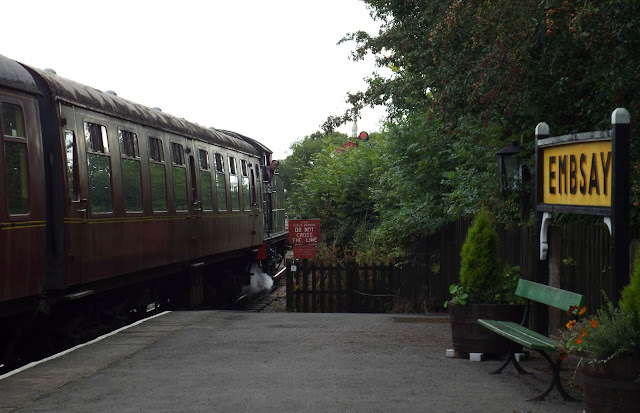 A Quirky Kook: Days Out in Yorkshire: Embsay and Bolton Abbey Steam Railway. Regular readers will know that a couple of members of the Quirky Kook family are huge fans of heritage steam railways and consequently days out are mostly geared around or towards sating their desire to hear whistles toot, wheels clack and the chuff, chuff, chuff of the engine. So it was that this summer having decided on a trip to Bolton Abbey (more of that later) as a less steam engine related pursuit for the family that the Man and Boy, oh so casually, pointed out that the end station on the Embsay and Bolton Abbey Steam Railway was a mere 30 minute walk away from the Abbey itself. 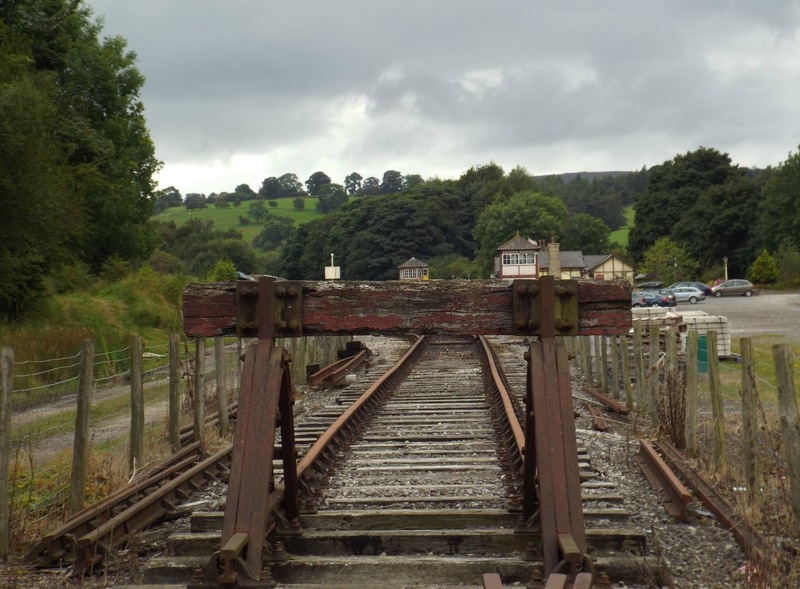 The preserved railway is a four mile stretch of the former Skipton to Ilkley route run by British Rail. 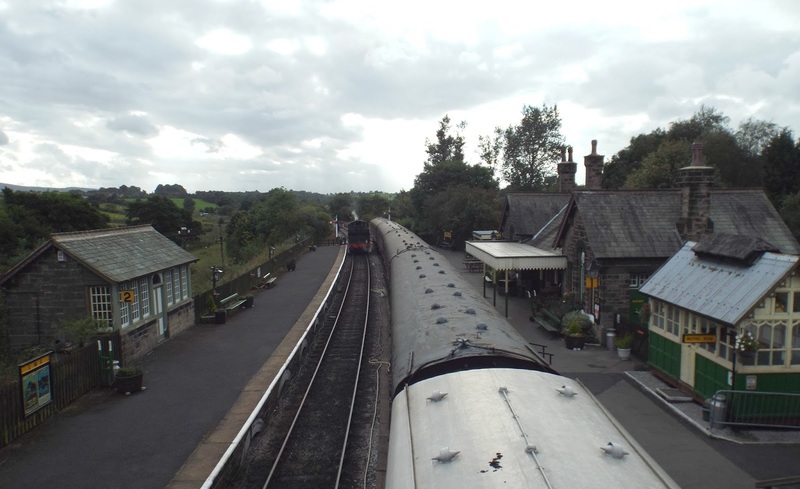 One of the victims of the dreaded Dr Beeching report, it closed down in 1965 but was taken over by a group of volunteers aiming to preserve the route in 1979. 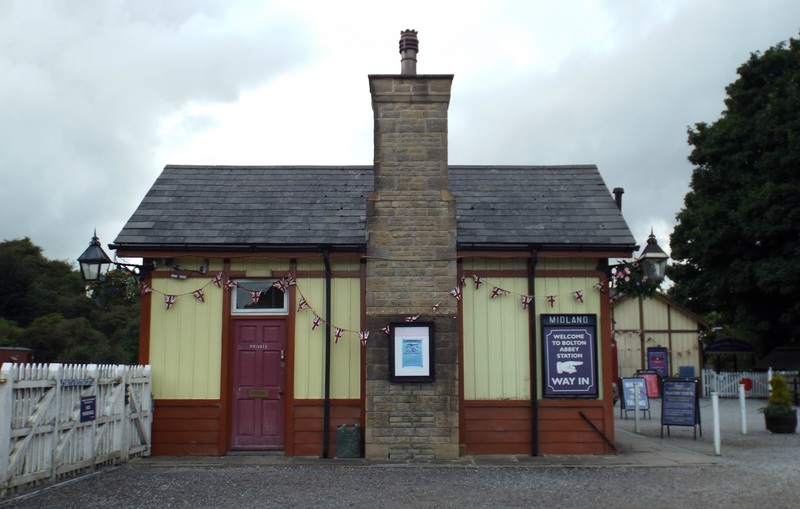 Having steadily built east to Bolton Abbey, the group are planning to extend the line further to Addingham in the east and west to Skipton. At the moment though, the heritage railway is just long enough for the teenager to survive the trip without resorting to sarcastic train-spotting comments, always a bonus on a family day out. Another bonus of the route are breathtaking views of the Yorkshire Dales from the train during it's 20 minute journey between Embsay and Bolton Abbey. 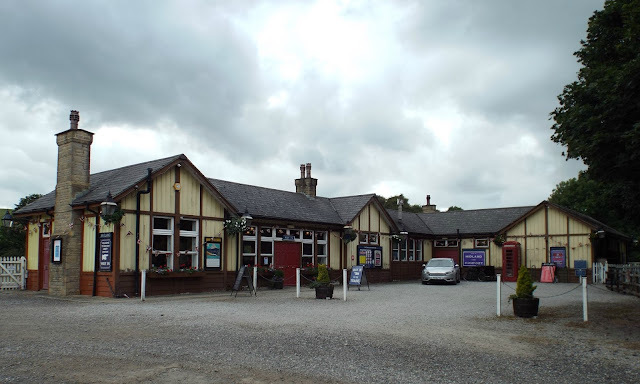 Both stations have a glorious old age of steam feel, right down to the stack of ancient suitcases which are de-rigueur at any heritage station, as well as a cafe and, at Bolton Abbey, a picnic area. Clearly the railway is a work in progress, at Bolton Abbey building of a second platform is partially completed, but there are plenty of engines, carriages and stock under restoration at both ends of the line to satisfy even the most railway obsessed 10 year old (and his dad). 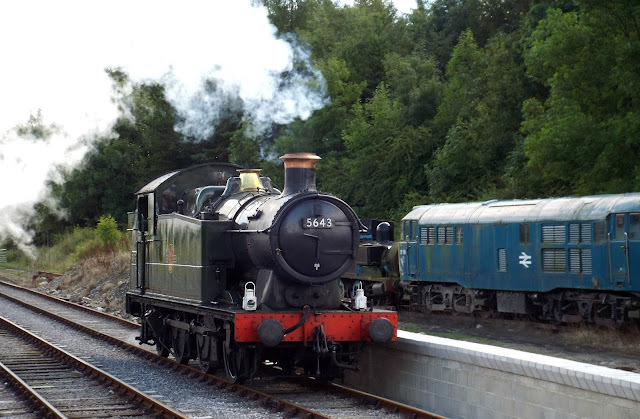 A family (two adults/ two children) day ticket is £25 and allows you to ride up and down the line as many times as you want with an option to get off at the Hollywell Halt request stop part way down the line just to watch the engines puff by. We didn't though, the teenager threatened to die of shame if we did. 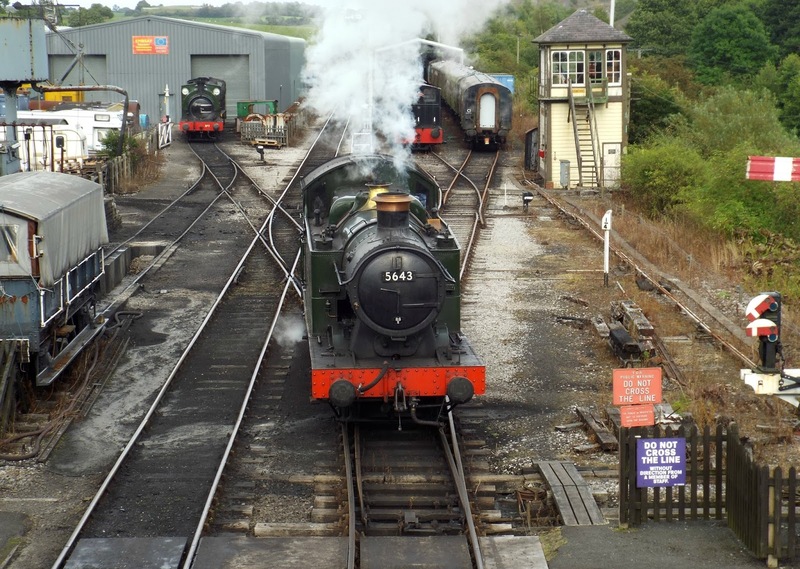 The railway will be running steam trains each weekend and some days in the week throughout Autumn and the next special event is the 1940s Weekend on September 10th and 11th with special events being held at both stations. End of the line at Bolton Abbey Station, for now. See the E&BASR website for timetable and ticket information. 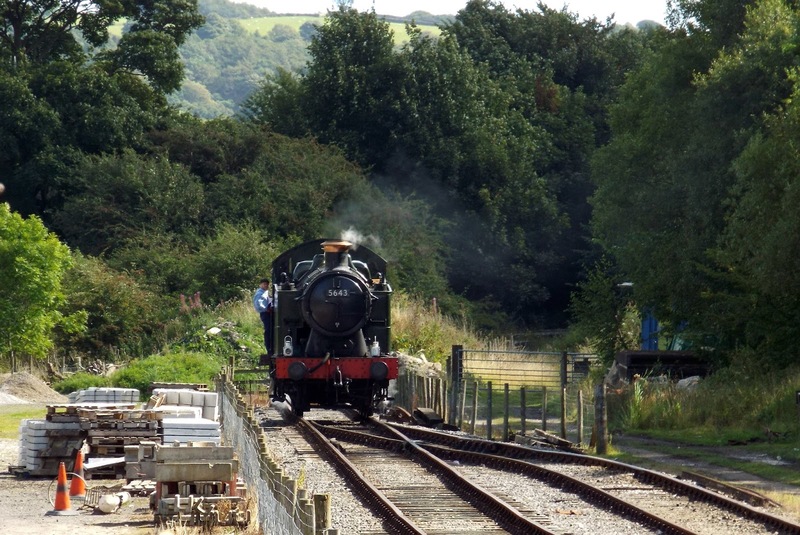 I've never been on this railway, and as a Yorkshire lass I have absolutely no excuse! Love the Yorkshire countryside, and this looks a beautiful day out. This looks great, I'm sure my kids would love it. Hope the teenager doesn't hate you too much for going back this weekend! What wonderful photos, it just looks like the pages of a Thomas the Tank story on the original books! 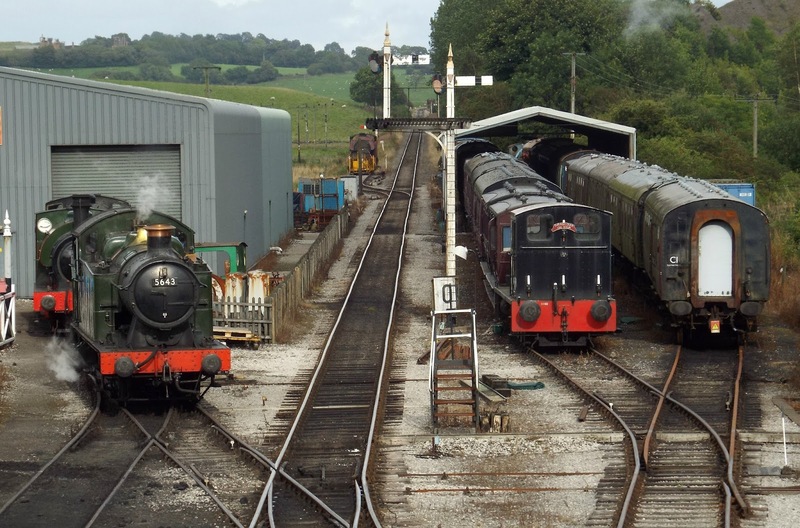 I do share your love of the old steam railways. We have a couple down our way too and I love to see them pass by in high season. The sound, smell and excitement they generate is infectious. Our local is Bodmin to Wenford and also a victim of the Dr Beeching report. I love how well your Yorkshire one has been restored, it all looks so authentic.